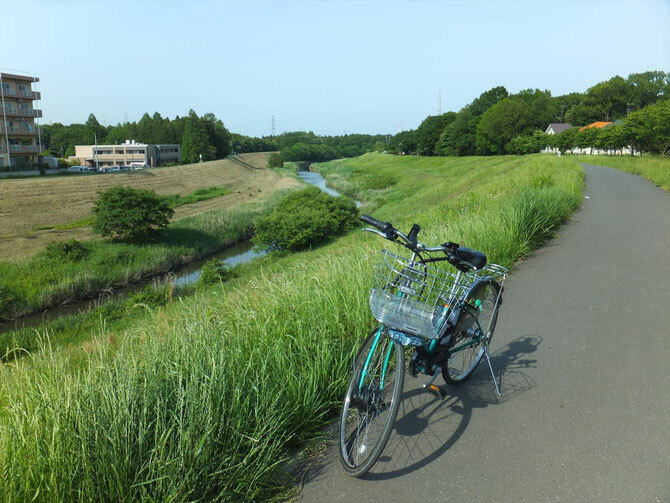 B-Ike offers very safe and comfortable bike tours running on bike roads along rivers and waterways in and near Tokyo Metropolitan area. 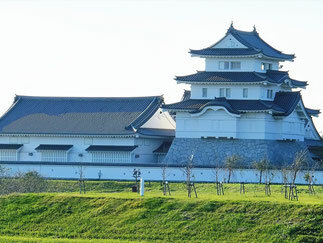 Guests can enjoy viewing with their own pace, Japanese farming land, seasonal flowers and blossoms, and lives of various creatures during the tours. E-bike makes the bike riding easier for tour distance like 20 to 30 kilometers long. 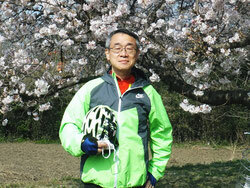 This is a bike tour running on dike road of Tone River, the largest river in Japan. It stops by Syodenzan Temple, famous as "Saitama Nikko" for brilliant coloring carving of outside walls of its main hall. 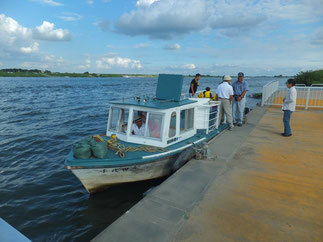 It is fun and pleasant to pass the river with a small free ferryboat, feeling cool-down with river surface wind on hot summer day. 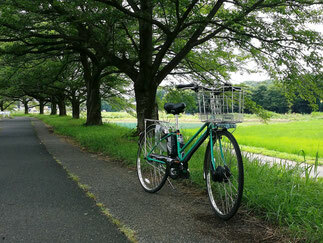 Minuma Farmland is one of large green zones within Tokyo Metropolitan, located in east of Saitama City. The bike tour goes on bike road along with waterways and path in the farmland of rice paddy field and fruits and flower gardens. It stops by Omiya Bonsai Village, famous tour spot, where traditional Japanese art is displayed. 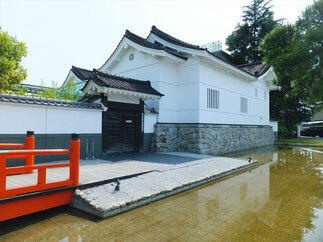 You can enjoy running leisurely on riverside roads along with water flowing in Saitama Prefecture. The roads there are mostly flat and dedicated ones for bikes and pedestrians without car traffic, or farm roads with less car traffic, so that, even beginners and senior people can enjoy the bike tours because of safety roads and power assistance with E-bike. Note 1: Bike riding time is estimated, assuming at 10 km/hour.